Ray Davis is now back in American custody. That's the good news, and long overdue. It was only a matter of time before the Pakistani government engineered a way to release Davis before the issue created a real rift between Islamabad and Washington. The Pakistanis also ran the risk of having their country branded as a pariah nation for refusing to adhere to provisions of the Vienna Convention on Diplomatic Relations of 1961. The Vienna Convention covers diplomatic immunity, but it is not always clear exactly who is covered. I have served at American embassies and have had diplomatic immunity, yet I have never technically been a diplomat. In most cases, I was assigned as a military attaché or as an advisor assigned to the military attaché office. I was issued a diplomatic passport (also called in the American system a black passport because of its color) by the State Department. Having a diplomatic passport in and of itself does not confer diplomatic immunity, contrary to what many people think. Normally, when you are assigned to an embassy, your name is submitted to the host government, who issues you a local identification card. In the Arabic-speaking countries, it is called an iqamah, or residence permit. If you are in a position entitled to diplomatic immunity, your name is added to the diplomatic list. Once your name is added to that list, or in my case, when my credentials were accepted by the host military intelligence service*, you have diplomatic immunity. Ray Davis fell into a gray area of the diplomatic immunity protocol. As a contractor for the Central Intelligence Agency (CIA) - carrying a Glock sidearm gave him away; the military carries Berettas - not only was he not a diplomat, he was not even a U.S. government employee. He was assigned on a temporary basis to the American embassy in Islamabad, more specifically to the CIA station. As a former U.S. Army Special Forces soldier, his skills are in great demand by the CIA Special Activities Division. His skills would be in especially great demand in Pakistan, safe haven of many al-Qa'idah and Taliban fighters. Since Davis was in Pakistan for a short period, it is doubtful that he presented any credentials to the local government. He was probably listed as a technician working at the embassy of one of the U.S. consulates in the country. The technician position would not necessarily carry diplomatic immunity, and he most certainly would not have been on the diplomatic list. That said, all countries do this. 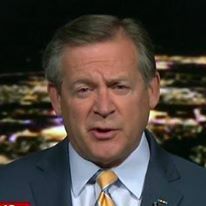 They assign intelligence and special operations personnel to their embassies to conduct operations that at times contravene local laws, particularly laws that govern espionage. They, and we, expect that diplomatic immunity extends to these personnel, even those assigned on a temporary basis. It is one of those "understandings" between intelligence services. Normally, the issues do not involve the shooting of local nationals. That not only creates a legal problem for the host government, but an emotional issue for the local population. In Lahore, Pakistan, where Americans are not viewed with favor, the killing of two locals caused an uproar that put the government in an impossible position. Of course, no one mentions that the two locals were armed and possibly trying to rob, or who knows, kill Davis. Because of local sensitivities, the Pakistanis felt that they had to take Davis into custody as though they were going to prosecute him. I am guessing that they were trying to figure a way out of this dilemma as soon as it happened, thinking, "How do we get out of this diplomatic situation without appearing to placate the Americans and their billions of dollars of assistance?" What the Pakistanis came up with is probably as good as it was going to get. Davis's notoriety after killing two locals demanded something more than releasing him because of diplomatic immunity. Had he been on the diplomatic list, there would have been no question, but he was not. According to some media reports, the Pakistani intelligence service, the Inter-Services Intelligence Directorate, scooped up the families of the two persons who had been killed by Davis. The families were brought to the prison where he was being held, and in front of a judge pardoned the American. According to Islamic law, Davis had to be freed. It appears to me that the ISI engineered this whole kabuki dance to allow Davis to be released without just letting him go. There was probably "blood money," an accepted Islamic practice, paid to the families. Fine, it served both countries. The United States got its man released, and the families received what passes for justice in northeast Pakistan. 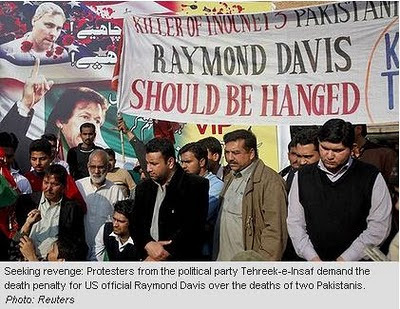 The ISI probably had to get involved since there were Islamist groups demanding that Davis be tried and executed. In the end, though, it was probably the best solution we could hope for. Actually, it was pretty resourceful, whoever thought of it. Pakistan realized that holding an American who carried a diplomatic passport was a nonstarter and needed a way out. * In most countries, military attachés are assigned to the military intelligence service, and are accredited to the host nation military intelligence service. In the United States, all military attachés are assigned to the Defense Intelligence Agency. Foreign military attachés in Washington are accredited to the Director, DIA. Operation Odyssey Dawn - who's on first? Libya - Is UNSCR 1973 too little, too late?